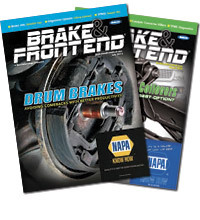 For the second consecutive year, Tenneco says it is on-track to introduce nearly 300 additional part numbers to its Monroe Quick-Strut product offering, expanding the line by the end of 2018 to nearly 1,000 part numbers and combined coverage of more than 160 million registered passenger vehicles. Monroe Quick-Strut premium strut assemblies were first introduced in 2003, with the aim of reducing the time necessary to perform a complete, high-quality strut replacement on millions of passenger vehicles. Assembled in Tenneco’s ride control production complex in Paragould, Arkansas, Monroe Quick-Strut assemblies are application-engineered to provide OE-style ride and handling and long service life. Each unit includes a premium Monroe strut technology tuned and tested to address the unique characteristics of its corresponding application. Also included in each assembly are a vehicle-specific coil spring technology featuring U.S.-grade steel and OE-equivalent spring design; premium, OE-style upper strut mount and bearing plate; and other high-quality components. More than 145 of the new Quick-Strut part numbers introduced this year have been the first aftermarket units available for their respective applications from a major ride control supplier. Tenneco will continue to expand the line each year to address emerging service opportunities, particularly among late-model passenger applications, Perrin said. “Most service shops only have one chance to address a given customer’s ride control needs, so we want to make sure they have premium-quality, guaranteed Monroe products available when and where they need them,” he added. 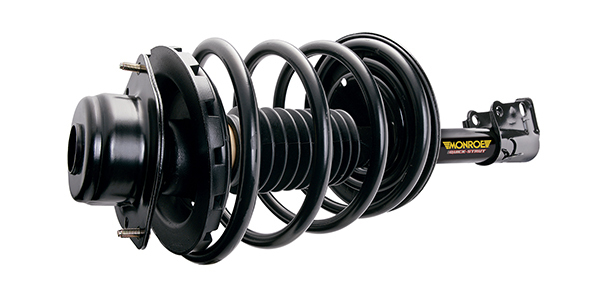 Quick-Strut assemblies are backed by Tenneco’s limited lifetime warranty and exclusive “Feel the Difference Guarantee” money-back consumer offer. Visit Monroe.com for guarantee details.